Springsteen and Steven Van Zandt make an unannounced guest appearance (on background vocals) during an encore at Dion DiMucci's second (late) show at The Roxy. 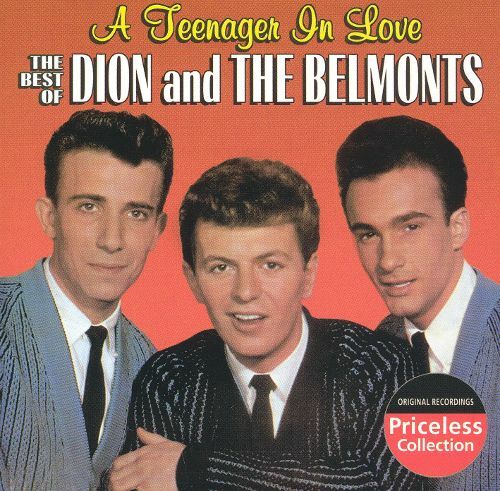 Dion introduces the pair as “honorary Belmonts”. All Star Benefit for the Homeless Children. Bruce backs Dion on "A Teenager In Love", along with Paul Simon, Rubén Blades, Lou Reed, James Taylor, and Billy Joel. "A Teenager in Love" is a song written by Doc Pomus and partner Mort Shuman and was originally sung and released by Dion and the Belmonts in March 1959. In May 1959, the song held three positions in the British Top 20, the other two versions being by Marty Wilde and Craig Douglas. "Alright, we try to play one song that we’ve never ever played before ….. we are challenged here, let me see if we get there…did he get it?...I don’t see it…(sings to himself)…we’re gonna figure it, this is, this is how it goes ….. Steve Van Zandt! stumped, huh? so somebody thinks they’re gonna stump the E Street Band (fakes laughter) not on my watch, alright, here we go…maybe I’ll do the verse myself (sings to himself)…alright, alright, here we go…we have never played it before…but we’re gonna play it in Iowa"
"At its roots, it's more than meets the eye. "The Wanderer" is black music filtered through an Italian neighborhood that comes out with an attitude. It's my perception of a lot of songs like "I'm A Man" by Bo Diddleyor "Hoochie Coochie Man" by Muddy Waters. But you know, "The Wanderer" is really a sad song. A lot of guys don't understand that. Bruce Springsteen was the only guy who accurately expressed what that song was about. It's "I roam from town to town and go through life without a care, I'm as happy as a clown with my two fists of iron, but I'm going nowhere." In the fifties, you didn't get that dark. It sounds like a lot of fun but it's about going nowhere." 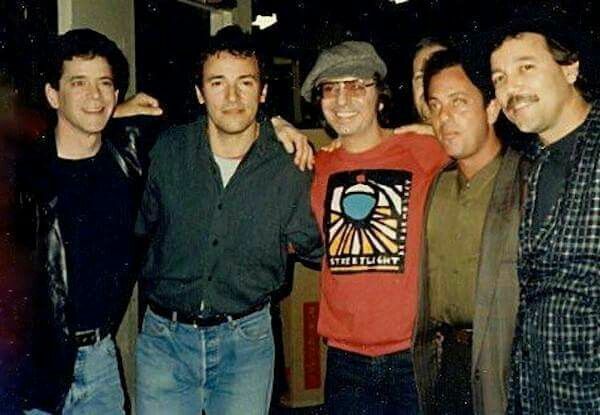 Bruce Springsteen first met Dion DiMucci in October 1975 while visiting a Spector-Dion recording session in Los Angeles. However Steve Van Zandt, while touring as a member of the backing band for fifties vocal group The Dovells, had actually played guitar in Dion's backing band at a show in Miami, FL, on 31 Dec 1972. That trip, according to Van Zandt, is the original source of his nickname "Miami" Steve. On 30 Sep 1976, Springsteen and Van Zandt made an unannounced guest appearance during an encore at Dion's second (late) show at The Roxy Theatre in West Hollywood, CA. They provided backing vocals on Dion's "The wanderer". Dion introduced the pair as "honorary Belmonts". Since then, Dion and Springsteen have shared the stage on several occasions. They have performed together Dion's "A Teenager in love" and "The wanderer", Springsteen's "If I should fall behind", and Steven Van Zandt's "I Don't want to go home" Springsteen described Dion as "the link between Sinatra and rock 'n' roll." Dion recorded and released two Springsteen songs : "If I should fall behind" in 1992 and "Book of dreams" in 2000.